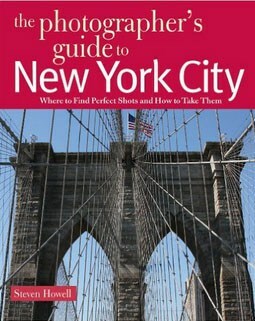 If you are visiting New York as a photographer, then you need "The Photographers Guide to New York City" by Steven Howell. I visited for a week and went to all 91 locations in the book with the exception of just a couple. I found the guide is a little too large to make it a pocket guide but it’s quite light and easily carried in a bag. Although there are not too many pages (just less than 100) there is a lot of information. Each location is well described, often with shooting recommendations and an example image for some. To the front of the guide are useful maps arranged by area, making it quick to find locations near to any point. All the main sights are well covered as well as a few you might not have thought about. To the rear of the book are a few pages of additional information including tours you can boo on. This is how I found Big Onion Walking Tours and had a great day out with the camera. Although the images may not be to your taste (sorry Mr Howell), it’s the information that’s important. This book is a little gem.